The FOG1 Kit is a convenient kit with a 1500mAh battery and 2ml atomizer capacity. It is a healthy electronic cigarette, which has a slim and compact profile and you can carry the device effortlessly. Equipped with two different wattage atomization core, you can choose a different taste according your preference. The whole size and weight of the FOG1 Kit are further reduced ,according to the ergonomics, making you play the electronic cigarette more comfortable. The battery has multiple protections, such as intelligent atomizer recognition, short circuit protection,over-healing protection,over discharged protection, etc, and you don’t need to worry about it. The Quick effect atomization of 25W of the FOG1 kit can give you a pleasure vaping experience. 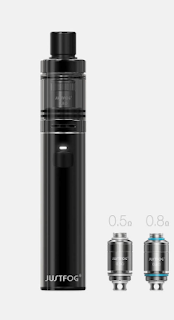 The Justfog FOG1 Kit has two colors: black and silver. The FOG1 Kit features top filling system, replaceable liquid tank tube and metallic appearance. 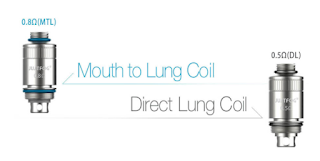 And the easy-to-use operation of the FOG1 Kit makes the device more popular and unusual.